Bring activity back to the workplace. Quiet and tasteful, treadmill desks and bike desks are easily implemented into your home or office with zero disruption and limitless value. 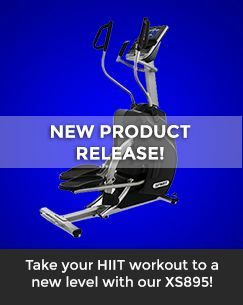 Burn calories, increase creativity, and enhance productivity, all while benefiting your health and wellness. Crafted for use by professionals or by companies as a whole, LifeSpan Workplace helps you progress, one step at a time. By now we all have heard the research on how extended periods of sitting can be damaging to your health. Several publishing's and research have even gone as far as dubbing sitting as the new smoking. 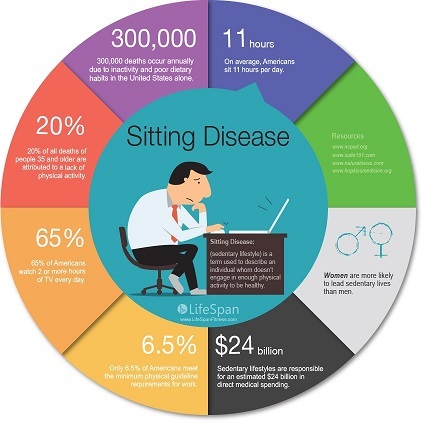 Stating that prolonged sitting leads to an increased risk for certain cancers, coronary heart disease, certain cardiovascular diseases and type 2 diabetes. 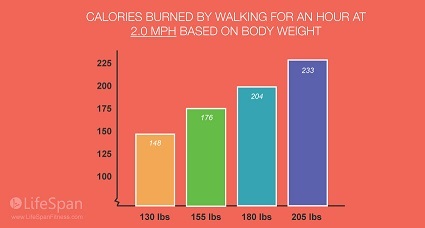 The main contributing factor to our increased sedentary lifestyles is technology. Technology has brought about more inactive modes of transit, caused an increase in desk jobs and has developed more activities that can be done while sitting (i.e. watching TV, surfing the web, playing video games). Overall, sedentary jobs have increased 83% since 1950 and physically active jobs now make up only about 25% of our workforce, which is 50% less than in 1950. Additionally, our average work week is longer. Americans now work 47 hours a week–164 more hours a year than 20 years ago. So what's the best way to counteract the harmful effects of prolonged sitting? By adding more movement into your daily schedule. It's that simple. 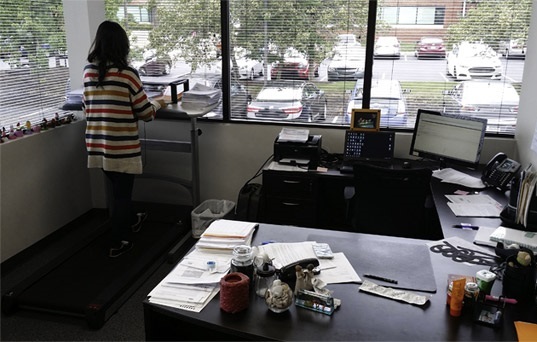 Knowing that a significant amount of our daily sedentary lives is spent sitting while working, incorporating a treadmill desk into your office can be a great way to increase your daily activity levels while simultaneously decreasing time spent sitting. 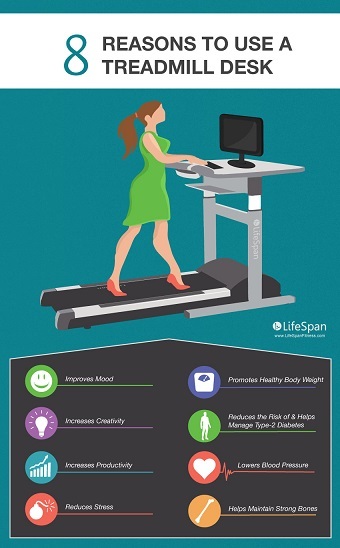 LifeSpan gives you walking desk and treadmill desk options to best fit your office needs and budget. Start by selecting a standing desk or console then the treadmill base. All options are completely interchangeable so feel free to mix and match to customize your own walking desk. DT3 Console: If you already own a standing desk, raised table or want to purchase a specific desk, the LifeSpan DT3 is the best treadmill desk option for you. The small, portable DT3 console sits on your desktop putting you in control of all the treadmill's functions while you walk and work. DT5 Manual Standing Desk: The DT5 is a great option for individuals or small teams. This sturdy desk includes padded armrests and a conveniently located console that doesn’t occupy any of the desk space. The standard desktop surface measures 38” by 29” and height adjustments are made in 1” increments with 16” of total adjustments. DT7 Electric Standing Desk: The DT7 is the ideal option for multi-user environments including communal and public areas. The desk includes the same padded armrests, integrated control console and desktop surface area as the DT5 plus the addition of electric-height adjustment. Height adjustment buttons are conveniently located within the console and include memory support for two users. 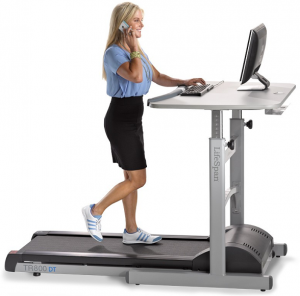 Once you have you have selected a desk, it is time to select a treadmill base.